The tension between reality and illusion is the core of Liu Baomin’s “Extreme Illusion” series. 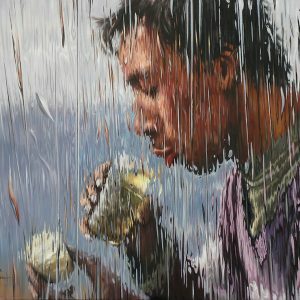 The rippled and splitting effects of his hyper realistic painting mimic that of an image seen through wet glass, creating a brand new portrayal of his subject matter. Liu wants to express the illusion of reality, echoing the current society that is based on consumerism. 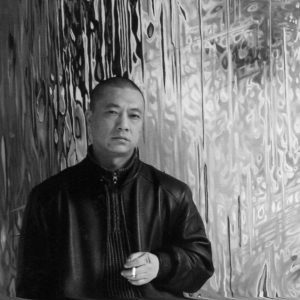 Liu believes that it is because of consumerism that people put “value” on all sorts of things, and not just objects. Even in between individuals, or individuals and society, people are “valuing” their relationship through the lens of consumerism. This lens is just like the wet glass that is put between his viewers and the subject matter, distorting and skewing reality. What the artist portrays is nether his inner self nor the objects themselves; instead what he depicts in his work is an intermediate layer between self and object, an element similar to the visual iconic medium of frosted glass. 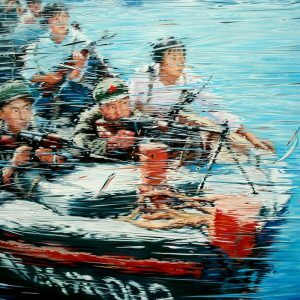 Liu Baomin is concerned with the existence of the images themselves: letting forms peel off from the objects, signifying the existence of the images themselves. 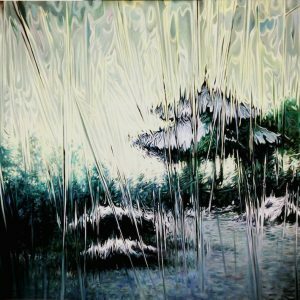 What the images by Liu Baomin portray is not the appearance of images themselves; on the contrary, the artist tries to let the pictorial nature become a symbol for the personal experience. Self-alienation is the product of a “self” set in a consumerist society and in a materialistic system; from a social point of view, self-alienation occurs when extremely objectified daily life turns into something extremely unreal. 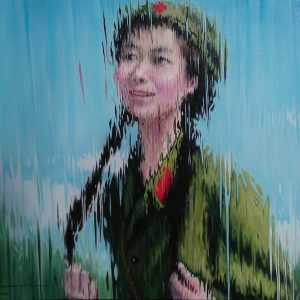 This phenomenon is not expressed in the paintings of Liu Baomin in the form of social criticism, but in the form of the appearance of a “Self” resulted from a visual experience. 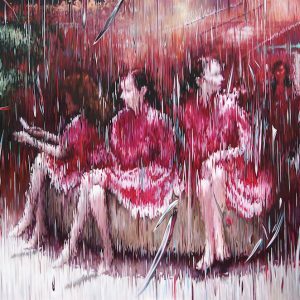 This endows Liu Baomin’s series of works with a radical change: extreme reality becomes the portrayal of something unreal.